The cleansing diet also called the detox diet is very popular nowadays, even regarded by many as the holy grail of losing weight rapidly. However, losing weight is not the sole aim of the cleansing diet. As with how the name may suggest, the cleansing diet regimes are aimed to cleanse your body from unwanted toxins, which can be the culprit of many diseases, low energy levels, and how your body easily gain and regain weight. The short-term benefits of the cleansing diet have been well proven time and time again. Almost all of the mental and physical benefits gained from the cleansing diet is caused by the detoxification of the liver. The overtaxed liver can leave you feeling sluggish throughout the days, and can, directly and indirectly, affect your ability to lose and gain weight. Wondering how to determine if your body needs a cleansing diet? Sugar cravings and other blood sugar issues. Increased visceral fat (belly fat) that is hard to lose. Fluid retention (increased water weight) and congested sinuses. Fatigue even with enough sleep, especially in the morning. Insomnia and difficulty maintaining sleep. Many of these symptoms may seem overly general or broad. However, if you have four or more of these symptoms, it’s likely that a cleansing diet would do you some good. A traditional cleansing diet typically lasts 21-30 days. We’ve all heard of the bad effects that excessive caffeine can have on your body. Yet, reducing your caffeine consumption is easier said than done. To counter the disadvantages of caffeine, use cardamom seeds. Cardamom increases your ability to metabolize caffeine, leaving less caffeine residue (and less bad effects) in your body. 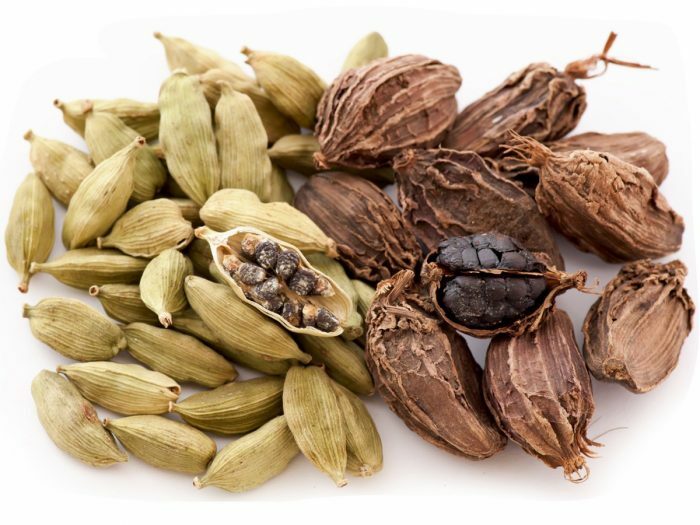 Try adding three to five cardamom seeds to brew in your coffee each day. Broccoli sprouts might have lower nutritional contents that the full-sized broccoli, but it contains more sulforaphane. Sulforaphane is a very powerful anti-cancer substance, and can also boost cleansing enzymes in your body for the next 72 hours and more. Sulforaphane will also boost your absorption to vitamin C, E, and beta-carotene, which in turn will boost your antioxidant activity. You can also get broccoli sprouts as supplement pills, such as this one. Speaking of antioxidants, many people throw this term around, yet don’t know their actual benefits for the body. Put it this way: toxins metabolized by the body (such as cigarette smoke, caffeine residue, and pesticides) can damage your body by generating free radicals, increasing its wear and tear. These wear and tear will ultimately affect your ability to burn fat, among many other things. Antioxidants help neutralize these free radicals and help repair the body from the damages. Consume more onions, green and black tea, citrus, berries, parsley, carrots, pumpkins, spinach, sweet potato, and many more. If your body shows four or more of the signs and symptoms we mentioned in the beginning of this post, consider trying the three tips we have provided above. If your body still doesn’t show any signs of improvement, it’s a clear sign you actually need a cleansing diet. Check out our full guide to cleansing diet, several methods and recipes, and how to get the most of your cleansing diet here.